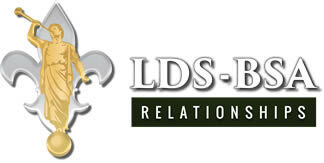 Introdution - Either take Introduction to Leadership Skills for Troops (ILST) as a Boy Scout or Varsity Scout, or take Introduction to Leadership Skills for Crews (ILSC) as a Venturer. This course is usually a few hours or can be done overnight and is typically done at the unit level as a new Scout or Venturer. Unit Experience - Spend a few months up to a year of "on the job" experience. National Youth Leader Training (NYLT) - This is a weeklong course that Grand Teton Council offers in the summer through the popular and highly acclaimed Cedar Badge - NYLT program either at the Boy Scout level or Venturing level as an individual. 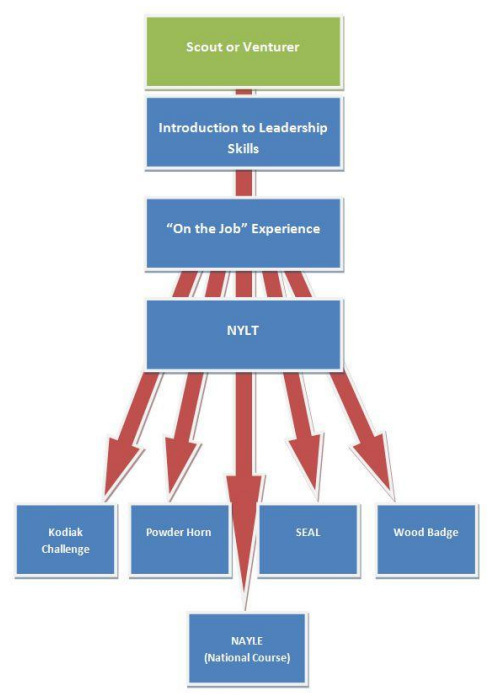 Individuals who complete NTYL or serve on a staff may also elect to attend NYTL Leadership Academy offered nationally. Kodiak Challenge - A crew or group based "on the trail" Venturing-focused experience. Powder Horn - Teaching and training individuals in specific high adventure skills. Wood Badge - Advanced adult level training. Youth can participate starting at 18. National Advanced Youth Leader Experience (NAYLE) - The pinnacle program for Scouting and youth leadership training available at the nation's four high adventure bases.